Q Shi Q - a play on of 串 (kushi), the Japanese word for skewer - was actually scheduled to open a few days ago (when I paid my first visit only to find that they postponed their opening date) but only yesterday officially opened to the public for lunch and dinner. It's located in the midst of a neighbourhood of warehouse-y offices near Earnest Ice Cream just out of Olympic Village and is, visually, a very beautiful establishment. Filled with wood communal tables, lit with super cool X-shaped lights, and sporting an open metal kitchen, Q Shi Q has a great vibe and is perfect for casual, fun finger-food snacks. They have a take-out and dine in option which is why they take orders on a cute little menu you can fill out yourself (seen below). Lemon and yuzu together is the perfect blend for something refreshing and thirst-quenching. I liked pairing something slightly sweet like this with all the meat skewers.
} I liked the chicken skewers the most as they were the juiciest and, in my opinion, had the most flavour. Q Shi Q has two main flavours: OISHII (green onion, garlic, ginger, sake, lemon, etc.) and SHIO (salt) but I personally prefer the depth of the oishii sauce more.
} The pork skewers were particularly fatty to my liking but lacked the juicy-ness that the chicken had. I still liked the oishii pork but found the meat on the shio pork and 48 hour pork belly a bit too dry.
} The beef has great flavour but was the driest and roughest out of the meat skewers.
} I feel like they could've done a lot more with this one. Maybe if the batter around the ebi was thicker/crunchier and if it was less salty overall, I would've liked it a lot more. I was really hoping for some terimayo to go with it too.
} Nothing too special about broccoli on a skewer but I felt like I needed something to balance out all the meat. 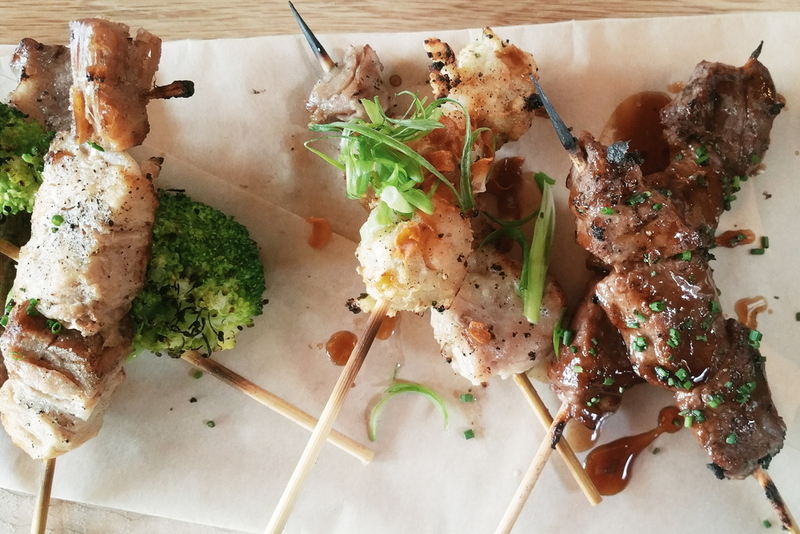 There's a lot of spice and flavour in the skewers but overall, I wish the meats were juicier (which is my preference). I also ordered a side of shio (salt) fries with miso mayo sauce which was super bomb. Next time, I think I'll order a bowl of rice to go with everything and make for a more filling meal. 4/5 - I really love all the flavours on these juicy chicken wings. The skin is dry and packed with spices and a tangy sauce while the inner meat is kept soft and moist. Though it all tastes great, I wouldn't be able to finish all the wings myself as it does get quite salty. 4/5 - I love the continuation of the skewer theme into their desserts like this one. 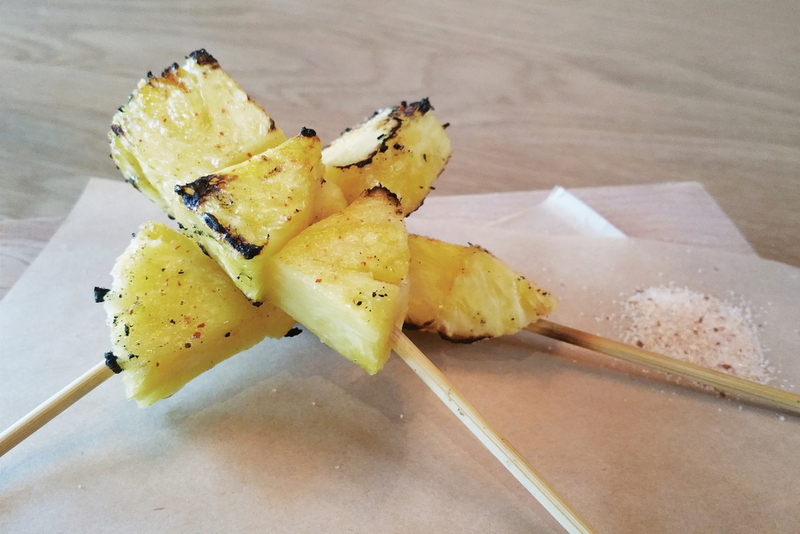 Pineapple skewers definitely aren't the most traditional of desserts but this one kinda works. Slightly charred and topped with a hint of spice (and with the choice of some salt on the side), these pineapples are quite tasty. However, the other desserts are $4-4.50 are offer much more so I wouldn't choose to order this one over, let's say, the cheesecake if I wanted my money's worth. cheesecake: 4.5/5 - I don't even like cheesecake but this one tasted very smooth and not too overly heavy. I absolutely love the yuzu marmalade on top which adds a bit of zesty-ness and texture to it all. 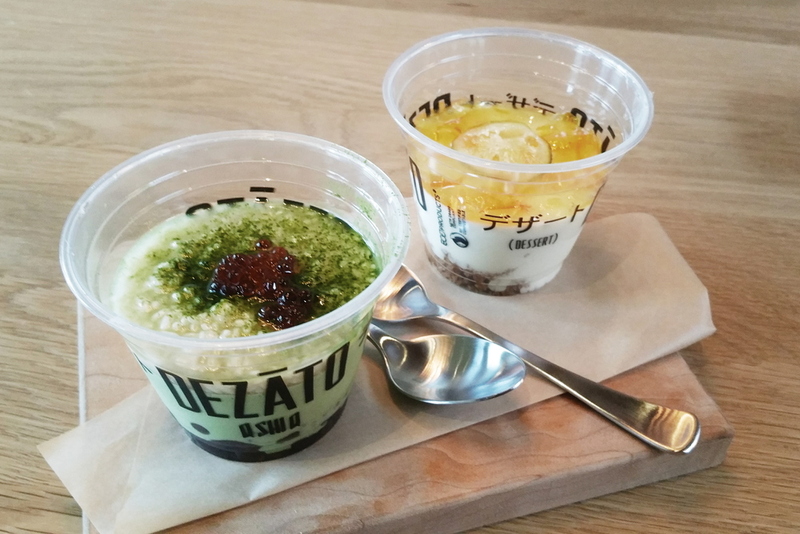 parfait: 2.75/5 - The matcha pudding could've had a stronger matcha flavour although I liked the traditional pairing of it with red bean underneath. I was, however, not digging the layer of sweet rice on top as it was much mushier and more bland than I had expected. Overall, everything just tasted mushy and too bland for me to finish it all. Although I love the atmosphere and skewer focused menu, I do think that overall, the food could be better. As I prefer juicier meats, I might just stick with the chicken and pork skewers and add on by ordering sides and dinner specials. Q Shi Q currently offers Sapporo and other typical beers along with a select few sakes (junmai, nigori, fruit) and cocktails but after witnessing a sake business talking with the staff, I think we can expect a greater variety of alcohol down the road. Q Shi Q isn't the type of place I would go to every week but I would definitely look to come here with a few friends for a casual hang-out every now and then.